Bryte and Broderick Community Action Network :: BBcan! Organized, Supported or Sponsored by BBCAN. See our slide show. note: BBCAN Board/Committee meetings are held on the second Tuesday of the month at 6pm at River Bend Manor. (map) Interested residents are encouraged to attend. BBCAN provides assistance to the City of West Sacramento Via Rideshare program by actively disseminating information to our community. See more information here. You helped us make our community better. Thank you to all who contributed to BBCAN. 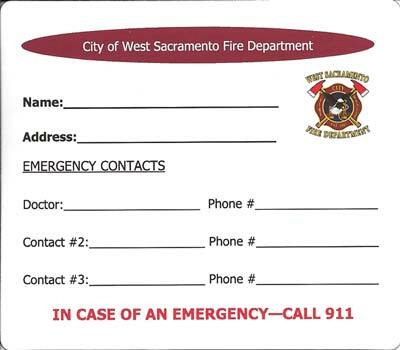 City of West Sacramento enlisted the help of BBCAN to hold a meeting specifically to gain input from the residents of Bryte and Broderick. The meeting was held in the Bryte Culinary Academy. See a flyer. Two of our BBCAN board members attended the national 2017 Consumer Electronic Show to learn about technology that can benefit our residents, particularly our older population. See the short report here. BBCAN supports and participates in the event. See the photos. BBCAN and Yolo County Housing at Las Casitas held the event on August 2. Food, fun and information for all ages! See the photos. A successful collaboration with Relay for Life. See photos here. A big success. See a slide show here. BBCAN's Senior Home Improvement Project- a collaboration between BBCAN, Habitat for Humanity and West Sacramento Code Enforcement. See the photos here. BBCAN Board members volunteered to assist with this amazing day for everyone involved. See a slide show of the event here This program, through HackerLab in Sac, brings STEAM (Science,Technology, Engineering, Arts and Math) to disadvantaged and low-income youth. 2.5 days of workshops and hackathon goodness. Learn. Make. Create coding, 3D drawing, engineering, electronics, entrepreneurship, & more! BBCAN and Yolo County Housing partnered once again for a successful National Night Out at Las Casitas. See the photos here! BBCAN partnered again this year with Boosters for International Gymnastics (B.I.G.) to sell fireworks in the Arteaga's shopping center on Sacramento Avenue. We raffled off the Backyard Barrage Assortment worth $159 and two tickets to a River Cats game. This is one of our major fundraisers for the year. Disney, Kaboom and West Sacramento joined forces to build a playground in Bryte Park. More than 400 volunteers from the West Sacramento community helped give more than 12,000 West Sacramento area kids the childhood they deserve by building a new playground. What a day!! You can see some photos of the event here. 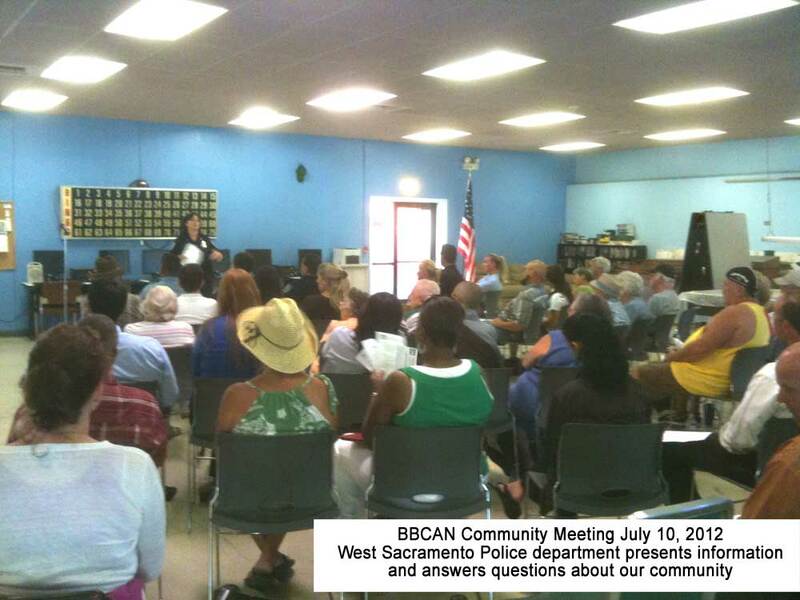 BBCAN in coalition with the West Sacramento Parks and Recreation welcomed local senior citizens and their families or caregivers to receive information that will enhance and support their daily living, health, transportation, and interests. BBCAN participates in Yolo County Housing event at Las Casitas. See the photos here. BBCAN supported West Sac senior shuttle riders in their plea to City Council to continue the service. See photos. Letters of support and signed petitions were presented at the meeting. Read the letter of support by BBCAN and the petition and the News Ledger articles Our City was listening. See the October 24 Commission on Aging meeting (from minute 30.34) and the December 17 West Sacramento City Council meeting (from minute 53.00) where the seniors advocated for continuation. BBCAN holds Holiday Party for Riverbend residents and other seniors... with West Sacramento Historical Society. BBCAN Participates in City Riverbank Cleanup Day. This free event at the City Hall Galleria was an opportunity for members of the community to learn how to recognize, avoid and report the latest financial scams. BBCAN was on the planning team. Once again BBCAN partnered with Las Casitas - Yolo County Housing - to support an evening of fun and food! See the photos here. What a great event with collaboration between the City of West Sacramento Parks and Recreation Department, the West Sacramento Music Academy and BBCAN. See the slide show. BBCAN collaborated with BIG (Boosters for International Gymnastics) to sell fireworks as a fundraiser for their organizations. This year our stand was located on Arteaga's Supermarket parking lot at the corner of Sacramento and Kegle in West Sacramento. You can see the results of our collaboration..
BBCAN in coalition with the West Sacramento Parks and Recreation welcomed local senior citizens and their families and caregivers to receive information that enhances and supports their daily living, health and interests. Over 40 organizations displayed their information watch a slide show. From the program District Coordinator for Yolo County AARP/TaxAide: 'Again this year we assisted a remarkable 145 at Riverbend Manor in West Sacramento. This is truly remarkable for only our second year there. The program brought $1,172,186.00 to Yolo County, $138,882.00 to West Sacramento. 75% of our clients were 60 or over. We do seem to have served the clientele that AARP/TaxAide aims to serve. These numbers do not include California refunds, which the IRS does not track. Our volunteers are very proud of the work they do, and grateful to have such a terrific place to do it.' See the the flyer. BBCAN, in partnership with the West Sacramento Historical Society, began taking site inventory of homes and vacant lots in the Washington Historic District. The completed survey, with photographs, will be used by the City of West Sacramento to help establish policies for this historical area. Twelve volunteers walked the area, took photos and recorded information needed by the city. Read more on the City website. BBCAN volunteers assisted Yolo County Housing in delivering food boxes to residents of Las Casitas and River Bend Manor. See the photos here. BBCAN was asked to participate in the Yolo County Health Department Communities of Excellence tobacco prevention panel to assess progress and provide comments and recommendations. We had a great Veterans Day Parade!! See some photos and the local press coverage. Thank you to everyone who watched, planned, managed, assisted, and participated in the parade. BBCAN was on the planning team for the fair, sponsored by the Yolo County District Attorney's office. Community organizations and vendors participated in our exciting and colorful annual event for the entire family at San Pedro Park in Bryte. See the photos. The Sactown Heroes (STH), a youth committee part of the Bryte and Broderick Community Action Network have partnered with the Yolo County Health Department to introduce survey findings to local store owners from the 2011 Communities of Excellence State Survey. Such fun for all involved. BBCAN, the West Sac Parks and Recreation Dept, and the West Sacramento Music Academy supported a KIDS Music Camp at Elkhorn School. See the photos here. BBCAN supports and participates in the Mandala Art Project. A new, exciting community art project in West Sacramento: See the display at the West Sacramento Farmers Market in the summer of 2013. Information to enhance and support seniors' daily living, health and interests. Exhibitors provided information about Medicare, current legislation affecting seniors, free telephone program, senior fraud and scams, peer counseling, Cal Fresh, home remodeling opportunities, transportation options, and much more. Free shuttle to the event was provided. Watch the slide show. See what we have been doing and what we are planning: Veterans Parade, Multicultural Fair, National Night Out, Senior Events, and much more. Learn how you can be involved and informed and let us know your ideas. Meet the folks who volunteer to make your community an even better place to live. 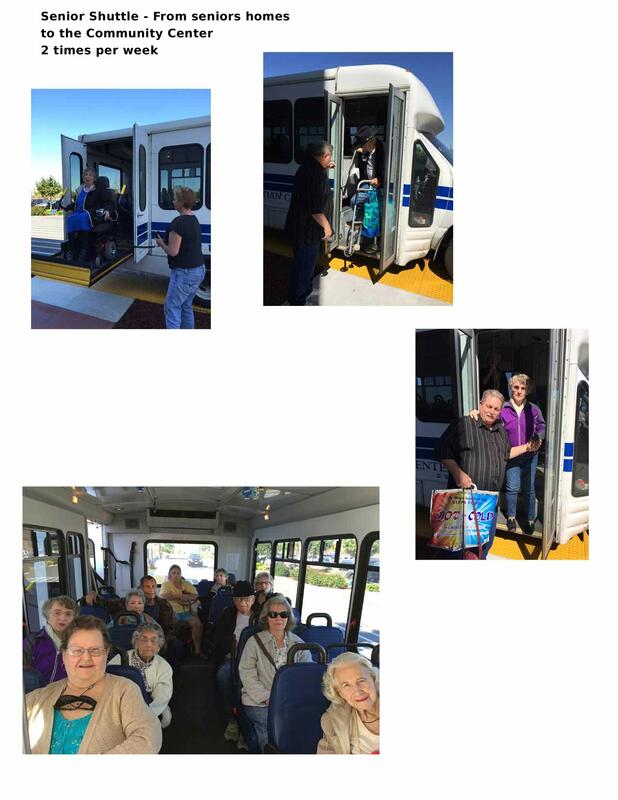 BBCAN continues to advocate and arrange for shuttle transportation for seniors from their homes to their destinations in collaboration with the Broderick Christian Center and the City of West Sacramento. BBCAN collaborated with program to assist with recruiting volunteers, publicizing program and securing location. BBCAN Senior Services Committee prepared a summary and recommendation document with supporting signatures and presented it to City planners. You can read the letter here. 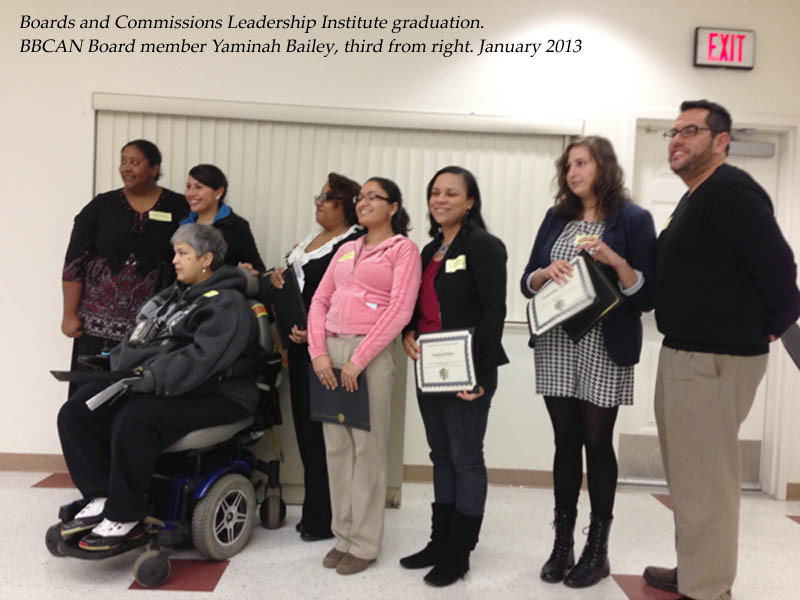 BBCAN Board Member elected to Washington Unified School District Board of Education. BBCAN participated in planning and marketing of the fraud fair with the Yolo County District Attorney's office. The fair was specifically for seniors, their families and their caregivers. See photos and YouTube Video by the Yolo Co DA's office. BBCAN assisted the City of West Sacramento in community outreach for a meeting about the Washington District renaissance at Sal's Tacos in West Sac. The event was open to everyone who lives or works in the the area to share the plan for the neighborhood's revival. Medicare update presentation and discussion at River Bend Manor. Senior attendees learned about Medicare, how to find more information, and how it impacts them. See the flyer. The Sactown Heroes (STH), a youth committee part of BBCAN, have partnered with the Yolo County Health Department to introduce survey findings to local store owners from the 2011 Communities of Excellence State Survey. Celebrate the Community - A Multicultural Neighborhood Fair. We had fun!! BBCAN concluded another successful Farm Stand - this year located at River Bend Manor senior residence. See the photos. A great time was had by all at our 2012 National Night Out. BBCAN sponsored and organized a meeting with residents and the West Sacramento Police Department (Code Enforcement, Traffic, Problem Oriented Policing - POP, and Neighborhood Watch) at River Bend Manor. See a photo. We had a very successful 4th of July fireworks fundraiser. This was a fundraising event for the BBCAN Urban Farm Stand and Community Garden projects in Bryte and Broderick. BBCAN participated in development of a campaign for Senior Fraud Awareness with the Yolo County Commission on Aging Triad Subcommittee. As part of the campaign, several videos were made to be shown to seniors throughout Yolo County. See a snippet from one of the videos. BBCAN provided support for the trip, including engaging the seniors, providing publicity and arranging transportation. BBCAN was invited to participate in community feedback meeting with Washington Unified School District regarding State mandated HIV and STD training for students. Habitat's Brush with Kindness is in West Sacramento. BBCAN is collaborating in the recruitment and publicity. This is a great opportunity to get involved with your community and make a difference. Help us help our commmunity. The City of West Sacramento Parks and Recreation Department convened the Task Force earlier this year. Members include representatives from City staff, YoloBus, City Commission on Aging, BBCAN, and senior residents of West Sacramento. 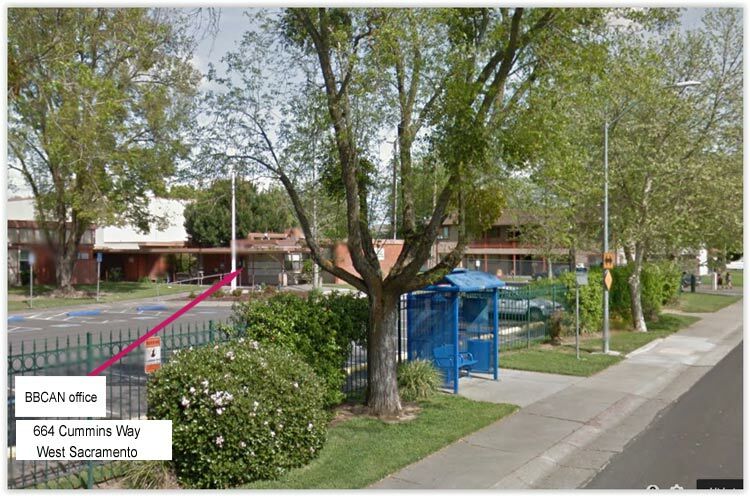 For one of the first Task Force activities, task force members and invited seniors participated in a 2 1/2 hour regular route bus ride around West Sacramento. The purpose was to experience the challenges and questions that may confront first time riders. See the photos. BBCAN brought cake and cheer to the annual tree lighting celebration at River Bend Manor following the noon ENP luncheon. A community event sponsored and planned by several organizations in West Sacramento, including BBCAN. For a second year, BBCAN in collaboration with the Alchemist CDC and the SacTown Heroes, operated an Urban Farm Stand from June through October. BBCAN is a supporter of the West Sacramento Parks and Recreation's Youth Summer Boxing Training Camp for girls and boys ages 9 through 16. Camp occured from August 1 through 12 at Riverbank School. See Channel 13 coverage of the program here. A great community event by BBCAN, the West Sacramento Historical Society and the Youth Resources Coalition with the support of the West Sacramento Police Department. Representatives from law enforcement, banking, licensing boards, health care, insurance associations, elected officials, senior advocacy groups and more were available to provide information and answer questions. BBCAN participated in the planning team and had a table at the fair. 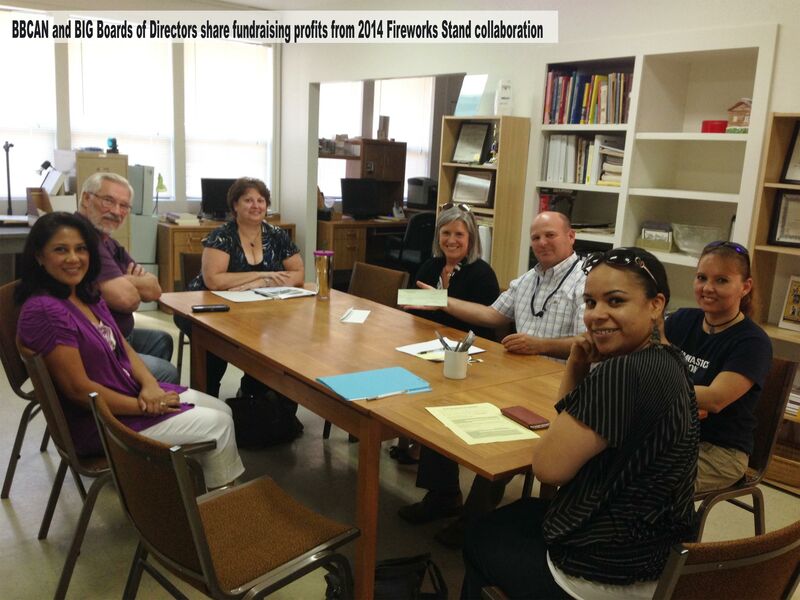 BBCAN was granted a license by the City as one of the non-profit organizations that can sell fireworks this year. BBCAN partnered with the West Sac Historical Society and the Youth Resource Coalition. BBCAN Senior Services Committee was a key player in the project. Campaign launched to save the post office to prevent it from being added to the USPS closure list. Unfortunately, in spite of community efforts, the branch was closed in June 2011. A successful event held at the West Sacramento Community Center. Information about transportation options and contacts for seniors was presented, followed by a question and answer period and individual consultations. On May 14, 2011, the organizations and associations that serve West Sacramento came together to strengthen their connections and leverage their abilities. The goal was to build relationships and share resources to create a stronger community. All the proceeds go toward funding the local Broderick Urban Farm Stand (carried out by Alchemist CDC, Bryte and Broderick Community Action Network and the West Sacramento Youth Resource Coalition) and building gardens in Bryte/Broderick residents' yards (carried out by Sacramento Yard Farmers and the Always Growing (AG) Project). Over 900 people upgraded two West Sacramento Parks. WS citizens will participated in the Mormon Helping Hands project, partnering with the City of West Sacramento and BBCAN, to tackle projects such as: construction and repair of trails, spreading mulch, masonry repair, carpentry work and a wide variety of other projects and support assignments. See the Proclamation awarded by the City. On April 14, BBCAN was awarded the Civic Leadership Award for Community at the annual State of the City Address. BBCAN also received a Certificate of Recognition from the office of Senator Lois Wolk. Issued 25-30 times per year.r sign up for our mailing list. See What is a Meet Up? and a photo. BBCAN supported the UC Davis School of Landscape Design project to assess and make recommendations for public spaces in West Sacramento. The resulting projects displayed a wide range of creative and innovative ideas. BBCAN Media Committee participated in the Coalition meetings and intiatives. 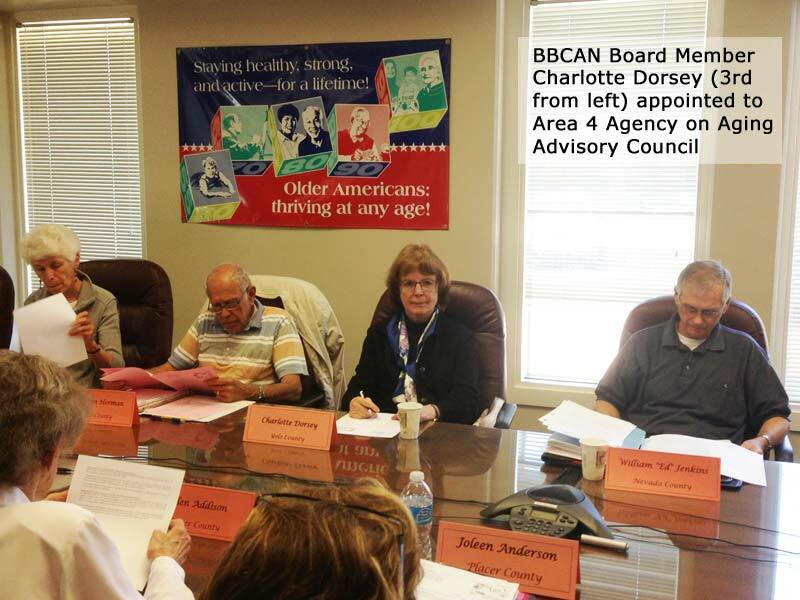 BBCAN Senior Services Committee participates in planning and implementation of Senior Fraud Awareness campaign. Summer Celebration in Elkhorn Park. Fruits and vegetables, arts and crafts, music, master gardener advice, and community information located throughout the park. Representatives from law enforcement, banking, licensing boards, health care, insurance associations, elected officials, senior advocacy groups and more were available to provide information and answer questions. Barbeque dinner served by Ludy's Restaurant. Celebrated our Learning Community: Your Stories - Key Learnings; BBCI Learning Community - The Next Phase; Certificate Ceremony - Honor and Celebrate each other. Part VI- Engaging Public Officials: meet your public officials and learn the best ways to communicate and take action. ..
Part 2 of Bryte Park Community Involvement. Professionally rendered concepts were presented based on the ideas and priorities from the Visioning Workshop in February. Residents identified preferred themes and ideas that will be the starting point for master planning. Part V- Conflict Transformation: How to turn our natural differences into constructive dialogue and positive results. Community leaders and residents gather to discuss ideas and offer suggestions. BBCAN Board and committee chairs, City of West Sacramento staff, SacTown Heroes and community leaders came together for a workshop to plan strategies for Bryte and Broderick. BBCAN is working the City of West Sacramento to engage the community in the redesign and develpment of Bryte Park. 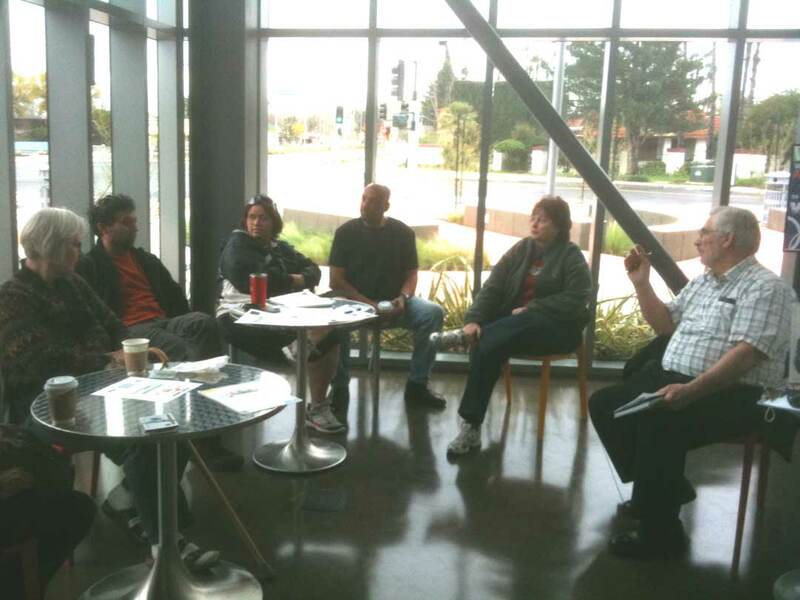 Part III- How to Run Effective Meetings and Facilitate Groups . Learn how you can be a part of this exciting program. Les Schwab Tires and BBCAN sponsor Free Tire Checks for seniors in January and February. Quick, safe and easy! BBCAN Community Relationships Committee held a December toy drive. . A Christmas party and toy distribution were held on December 19. Community members met to plan and discuss future training topics. photos. Part II- Projects and Programs. How to make projects and programs more effective through resident leadership . Learn how you can be a part of this exciting program. see photos. 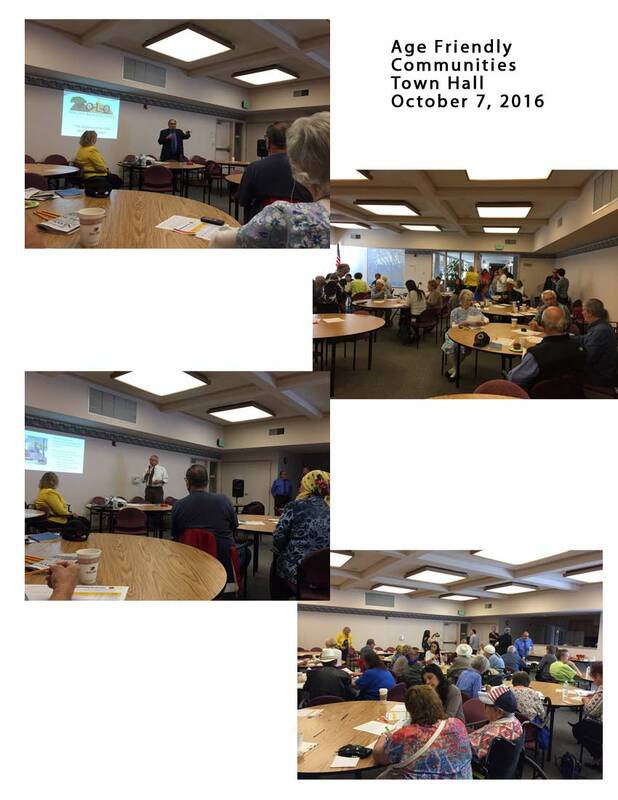 West Sacramento's first Senior Transportation Summit was held in the City Hall Galleria on the morning of November 7. Approximately 55 people attended, including representatives from City, County and State Government. Participants arrived in cars, on the bus, on foot and bicycle and motorized scooter. photos. The First Asset: People. Getting and keeping people involved. About 40 volunteers worked on the morning of October 17 to pick up debris and trash along the riverbank in Bryte. Over 80 residents turned out for a movie in Bryte Park - first time offered at this location. The event was sponsored by the City of West Sacramento and BBCAN. Free Garden Workshop- start your winter garden. The goal is to get neighbors together to help each other establish food production in their backyards. We will come to your backyard and offer classes so. Mosaic benches were completed at the school. photos. BBCAG members held the Meet-Ups at LaBou, Starbucks and San Pedro Park. Community members dropped in, generated some great ideas, volunteered to help on specific activities, and learned who to contact about their issues. BBCAG members held the first Meet-Up at LaBou. Ideas and feedback were offered by friends, neighbors and other interested persons who dropped in to chat or to volunteer. see the flyer. The Spaghetti Dinner was a fundraising and community building event with families and children. Thanks to WSYRC, BBCAG Police Relationships/Injunction Group and the Sactown Heros. BBCAG members participated in the Sac County and City Neighborhood Cleanup with West Sac PD Code enforcement. 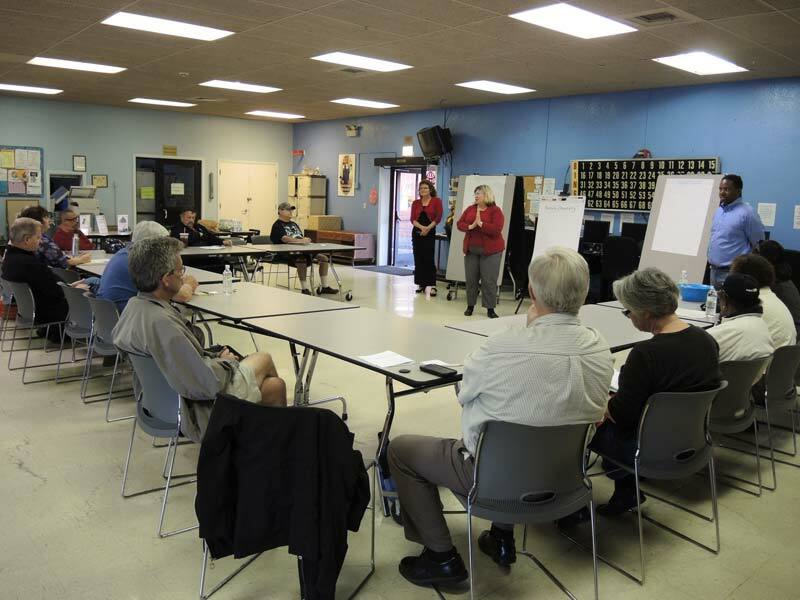 BBCAG volunteers developed a comprehensive list of senior services in West Sacramento. Scheduled to review projects proposed by the community. The Bryte and Broderick Community Action Group, Injunction and Police Relationship Subcommittee invited community residents to to get to know their rookie patrol officers and to bring donations for the last day of their BBCAG Christmas Drive. See the flyer. BBCAG hosted a booth during the October 4, 2008 Neighbors Fair held at Riverwalk Parkway. 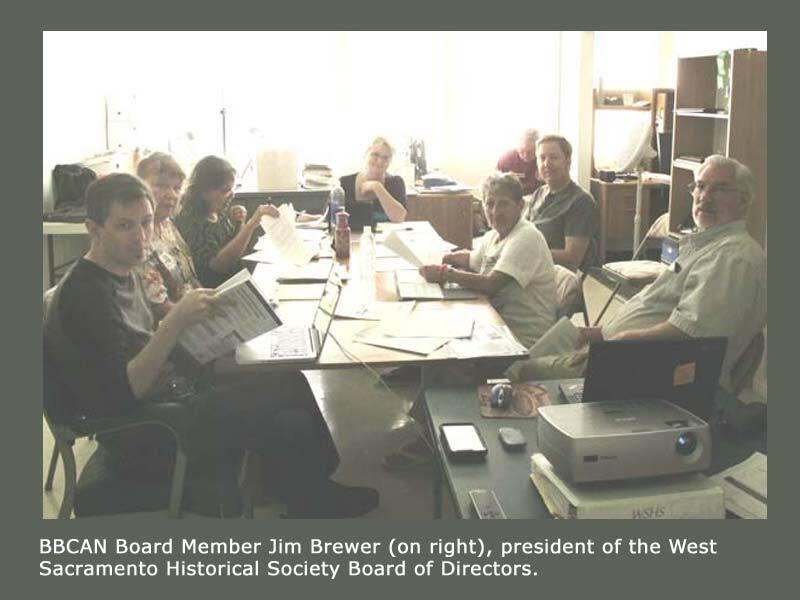 Volunteers answered questions about group activities and encouraged West Sacramentans to mark where they lived on an enlarged map of the city. Our new website was launched and ready for public viewing.